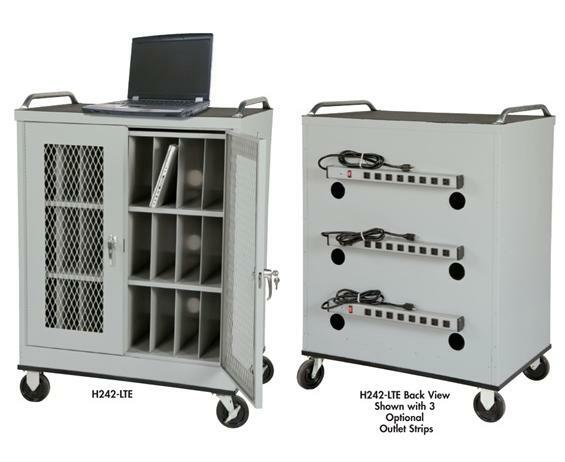 Mobile storage for 24 laptops and 48 tablets. Heavy duty all welded construction, set up ready to use. 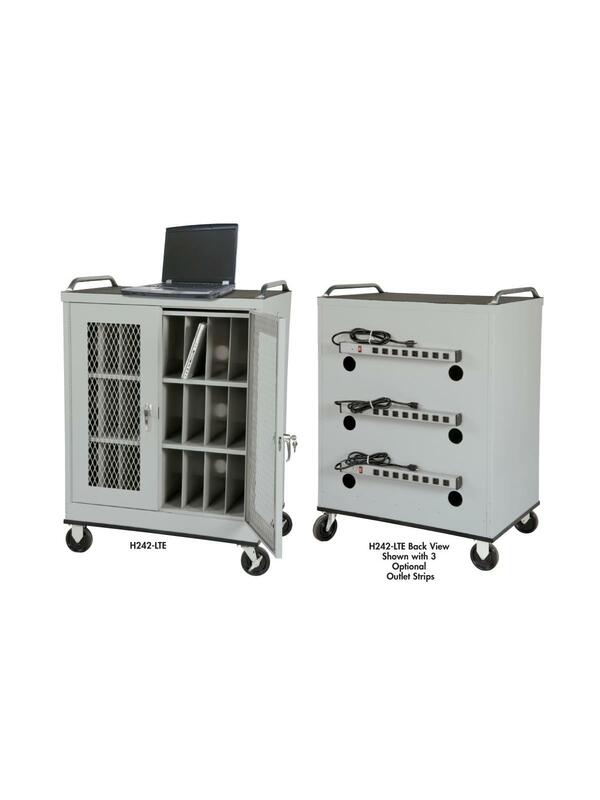 Expanded metal 16 ga. doors provide excellent security, visibility and ventilation when storing or charging. Has a three point locking device. There are 6-3" holes in rear to run power cords. Rubber mat on top with 2 push handles. Moves easily on 5" casters, 2 rigid and 2 swivel with brakes. Measures 36"W. x 24" D. x 48" H. Optional outlet strip with 8 outlets, lighted on/off switch, resettable circuit breaker and 6' cord. FOB Shipping Point.